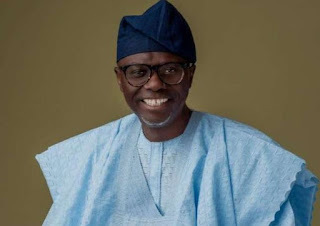 The All Progressives Congress (APC) in Lagos state has declared Jide Sanwo-Olu as winner of the primary election and governorship candidate of the party for 2019. Tunde Balogun who is the chairman of the party in Lagos announced the result on Tuesday, October 2 at the party secretariat. Sanwo-Olu polled 970,851 votes to defeat the Incumbent Governor. Akinwunmi Ambode reportedly had 72,901 votes. This declaration is coming even after it was reported that the National Working Committee of the party had cancelled the exercise. We earlier reported that Asiwaju Bola Tinubu, the National leader of the APC said that Lagos state governor, Akinwunmi Ambode has done well in office but he has not been a good party man. It was gathered that for this reason, Tinubu said, the APC has decided to withdraw support for the governor who wished to go for a second term.